I had to, it’s Samhain and that means a party at Ceri and Lily’s place. 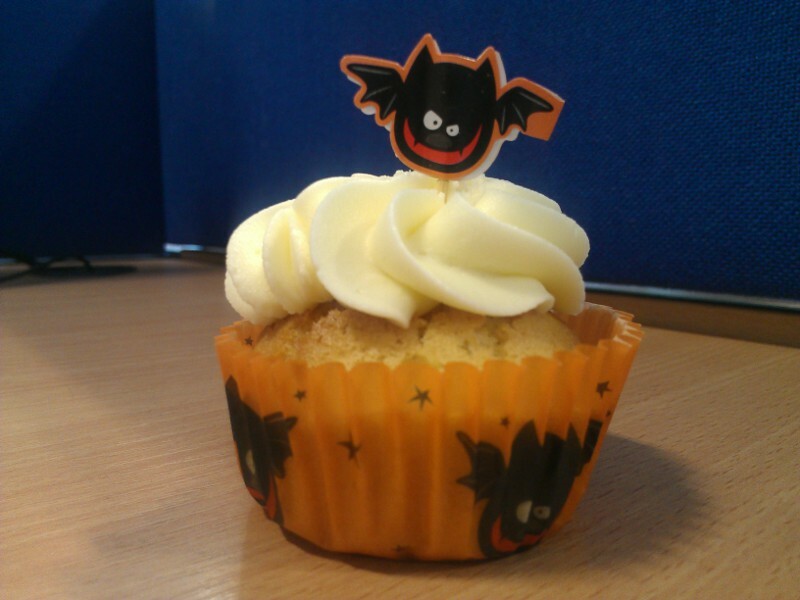 Yes, it’s a Halloween cupcake… What will they think of next? Meanwhile, the second edition of Thaumatology 101 is available for download from Smashwords. If you already own it, it won’t cost anything. There’s a little extra material in there, as well as a few corrections. You can find it at https://www.smashwords.com/books/view/93217. Amazon users won’t be left out as soon as KDP finishes processing the files. Enjoy. And have a good Halloween. Addendum: Edition 2 is now available through Amazon too. Samhain, All Hallows Eve, since the Shattering even the normals use the old names, except around the kids. To the normals it’s just a time for their children to go out hunting sweets and the one night of the year when the supernaturals stay inside. To anyone with a bit of magic about them, Halloween is no kid’s game. In the old calendar, Samhain was the end of one year and the start of another. It was a night to gather around the fire, keep the spirits away, and prey for the sun to come up in the morning. As with so many things thought to be myth or superstition, after the Shattering, people discovered that there was a reason for the old legends. As the sun sets on October 31st, the barriers between the planes are at the weakest they get all year and all manner of things from other places find their way through. There is usually a small peak in thaumic activity through the world, and spirits and immaterial demons make their way across. Thankfully, as far as the normals are concerned, the things which walk the Earth at All Hallows tend to attack supernaturals, so the best suited to defend themselves are the ones who have the most trouble. Still, if you’re a supernatural outside during Samhain, you are not going to have a fun night. The count of supernaturals going mad or rogue goes up markedly during November, and even the normals suffer some as demon “Tempters” use the night to cross over and give everyone a hard time. And one Ceridwyn Brent was born just after sunset on October 31st… Now what does that say about her? !